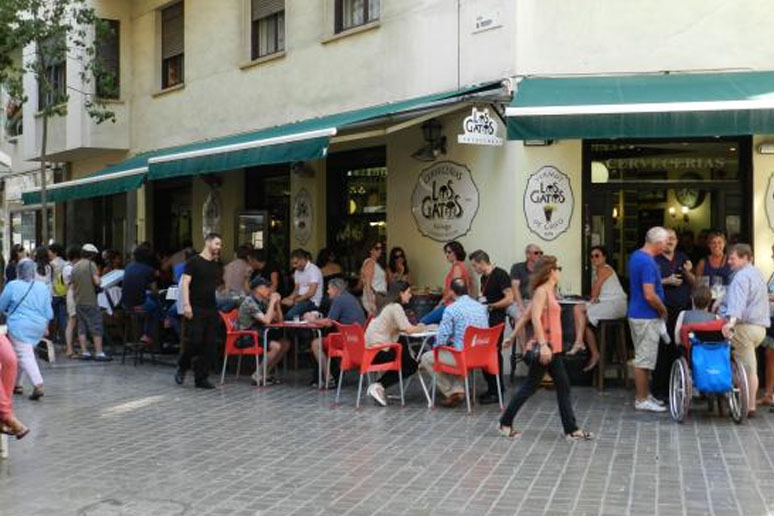 Malaga has developed tremendously in the last 10 years, and so has it´s range of tapas bars and restaurants! 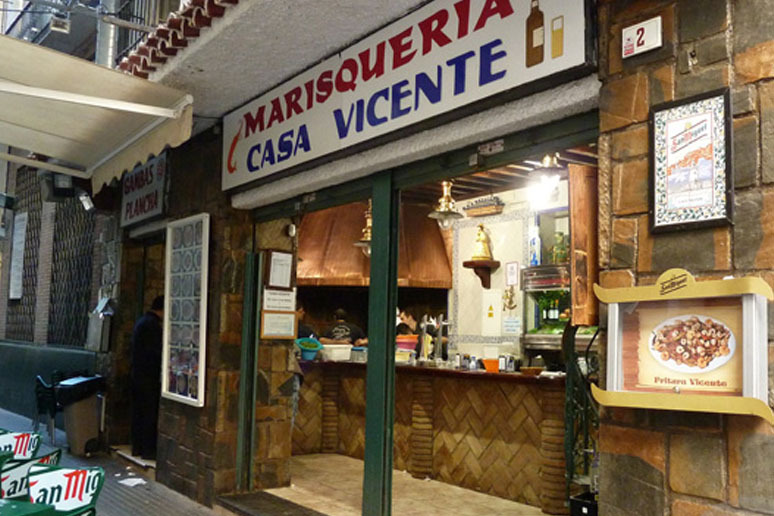 You can find an exciting range of tapas in Malaga. 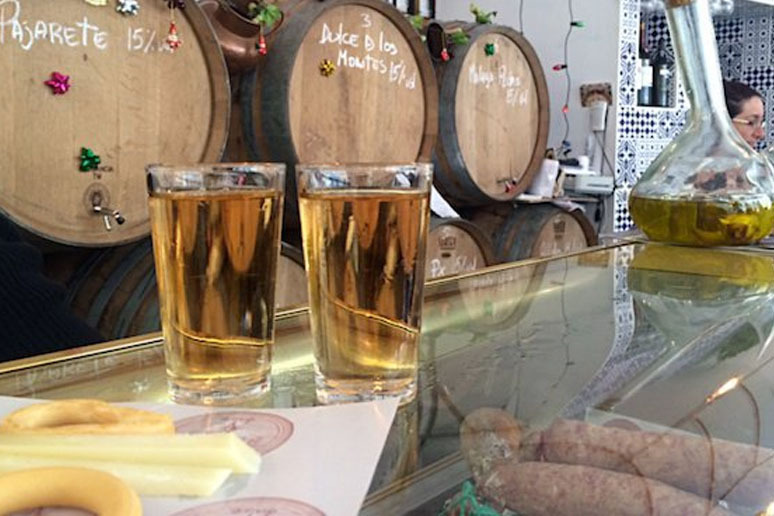 Unlike other Andalusian towns, the tapas are not free, but are well worth the cost. You will find many traditional restaurants and bars, mixed with newer modern establishments. Being close to Andalusia´s capital, it´s not a surprise that Malaga´s tapas system is very similar to Seville´s. 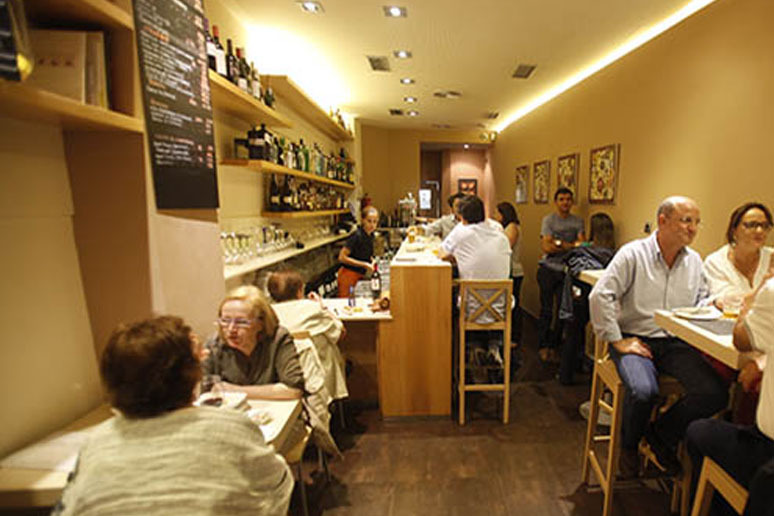 Tapas in other cities such as Granada and Jaen are usually free - but as a consequence can be of a lesser quality. Malaga´s tapas is generally paid for, but this also means you have greater variety to choose from. 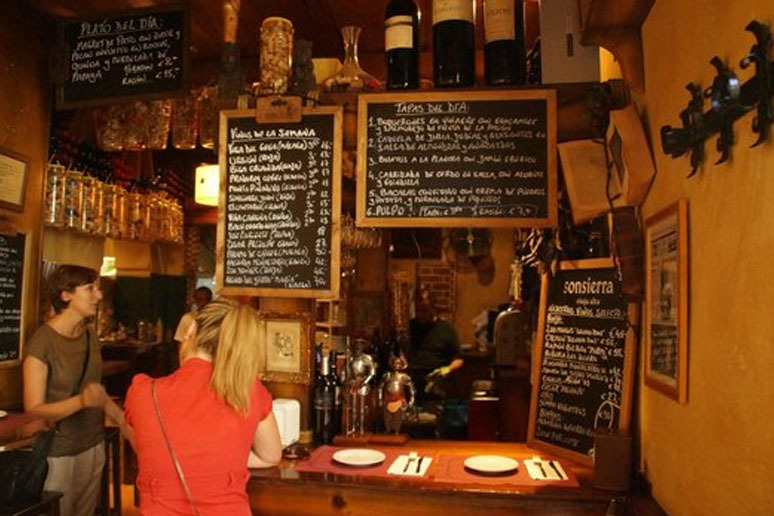 The Price of Tapas in Malaga varies depending on what type of place you visit. In the more traditional bars, you are able to find tapas such as ´Russian Salad´ for around €2.00, but this could rise to up to €6.00 in more expensive establishments. Do some research, and see where is popular with the locals. Don´t Order Huge Amounts at Once. The beauty of tapas, is that you can try a bit of everything, and judge when you are full!! Tapas are usually pre-prepared, and so come out quickly. There is no need to fill the table all at once! Find a Good Tapas Tour. There are several organisations in Malaga offering some great tours – these are a great way of experiencing the real city, and finding some great places to eat. 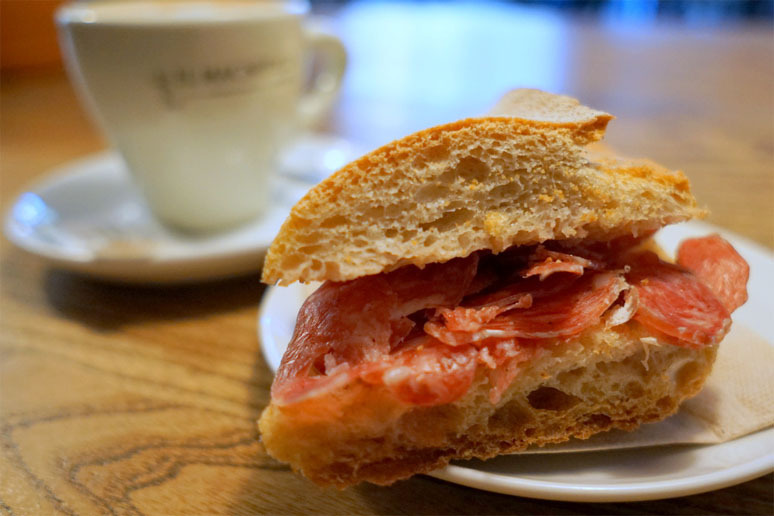 Before you are let loose on the streets, it´s a good idea to know what food to look out for…..
Little breakfast rolls, filled with Tomato, Olive Oil, and sometimes Jamón and Cheese. Different regions have different variations, and different names for this dish. Churros are very popular in Malaga. 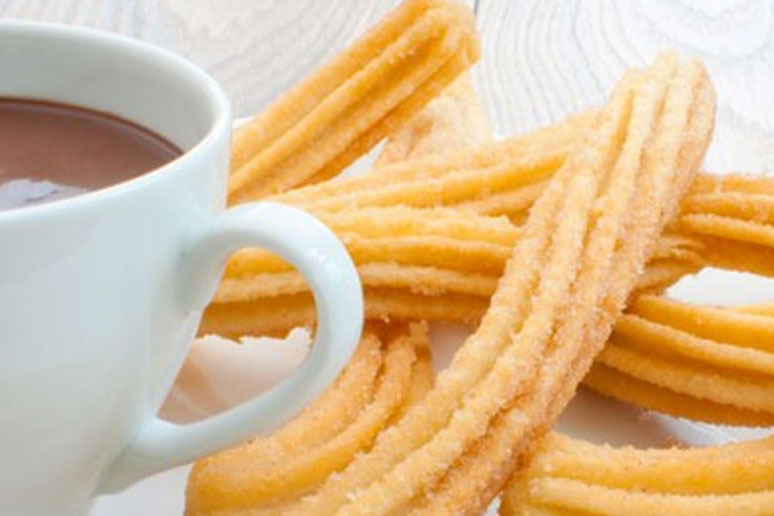 Basically a deep fried dough pastry, that many Spaniards enjoy dipping in Chocolate! 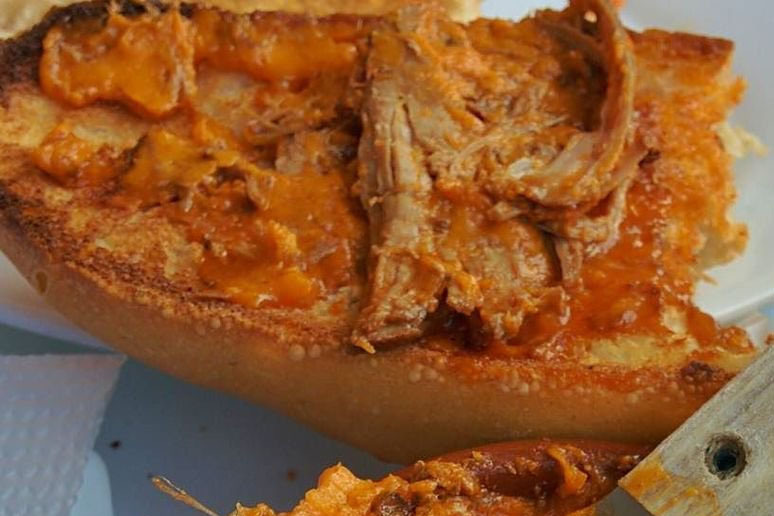 Many people wouldn´t automatically think Lard & Pork is a tasty dish, but it really is!! 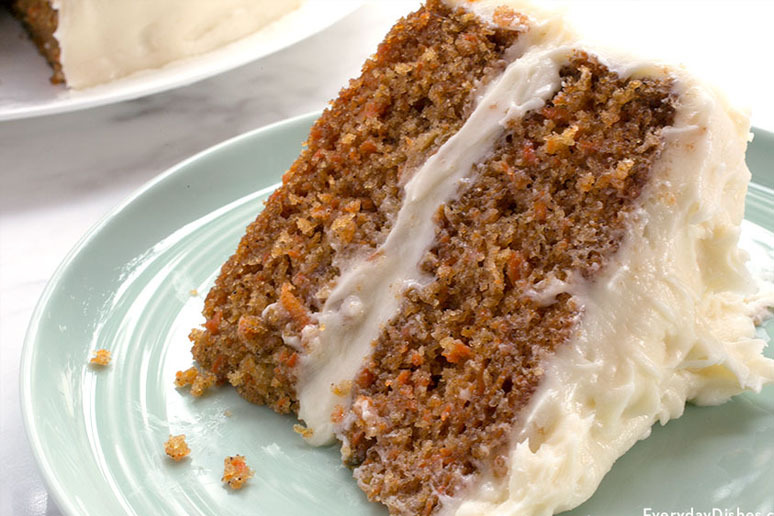 Perfect topped on toast. 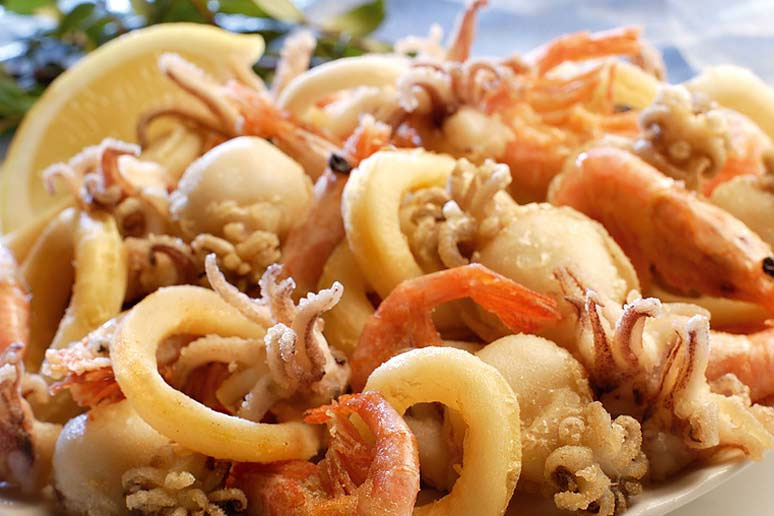 Malaga is spoilt with it´s range of fresh fish. Pinarroja or Sand shark is a great fish to try. Usually it´s deep fried in a cumin-lemon batter. Anchovies are everywhere in Malaga. You can eat them in Vinegar, Stuffed into Olives, or my personal favourite, fried with lemon and parsley. 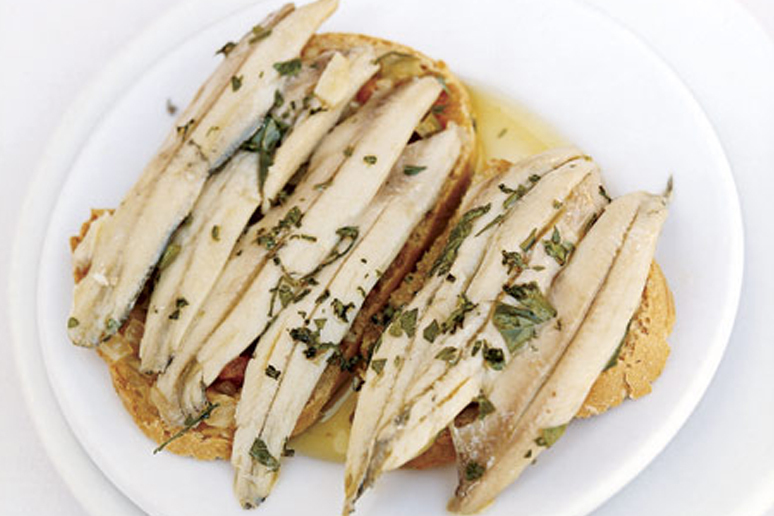 Espetos de Sardines are hugely popular in Malaga, and can be found in all good Chiringuitos. 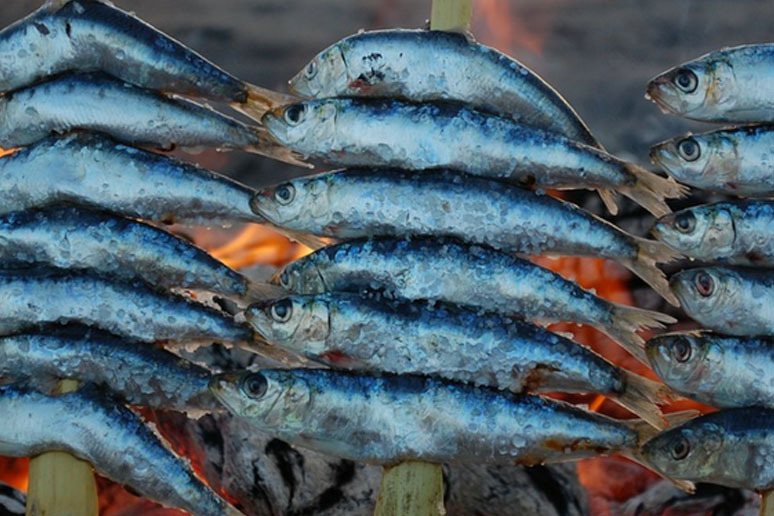 The golden rule is to not eat sardines in any month without an ´r´ ! 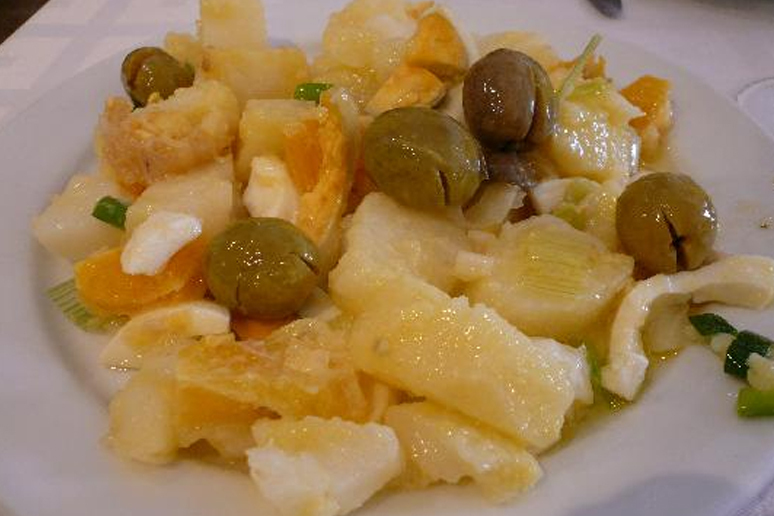 Traditional Malaga salad (ensalada malagueña) is made with salt cod and oranges. It´s a very filling tapa, so be careful about ordering large amounts of it! You will find it in all decent tapas bars. Ajo Blanco was eaten before tomatoes arrived from the Americas. 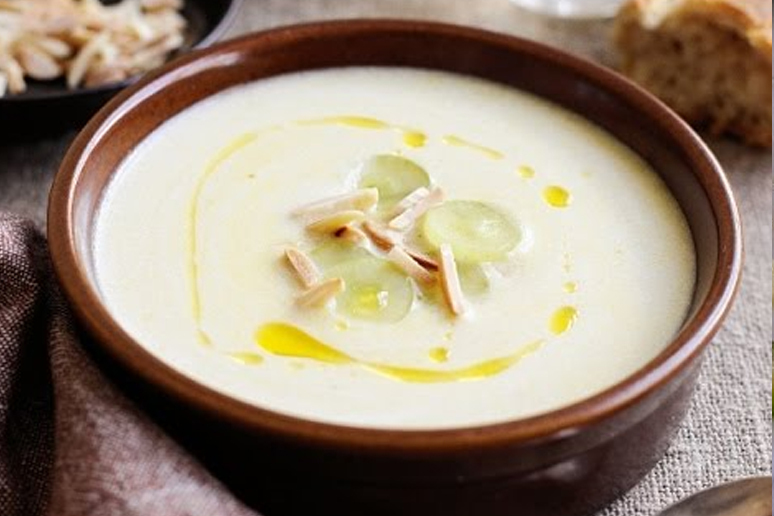 It is a delightful cold soup made with with garlic and blanched almonds. 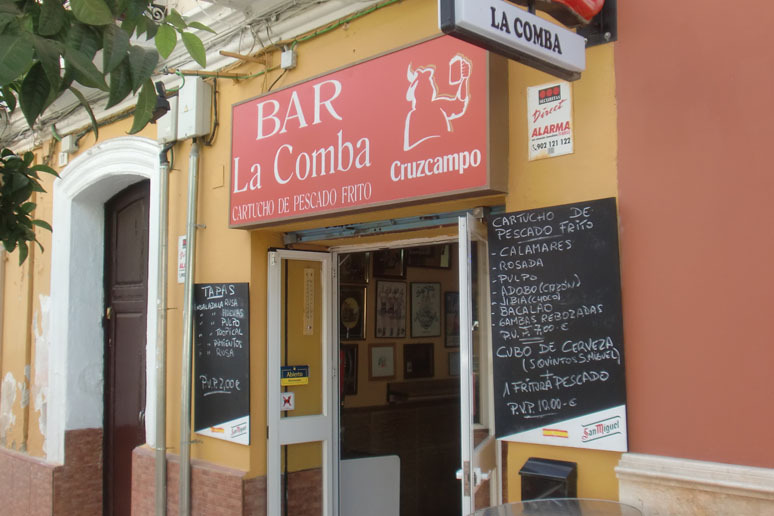 It is still a huge favourite in some of Malaga´s most traditional restaurants. 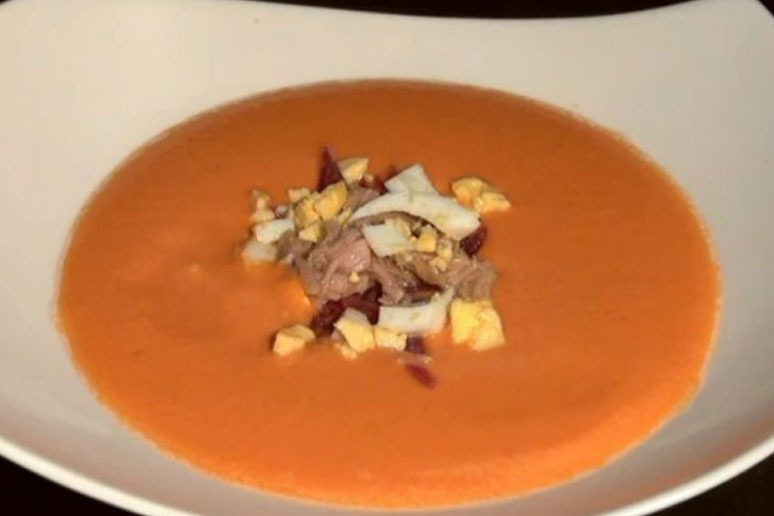 Porra is similar to salmorejo – but is topped with tuna instead of ham and egg. The main ingredients for this cold soup are tomatoes, stale bread, vinegar and olive oil. Extremely refreshing on a hot day. 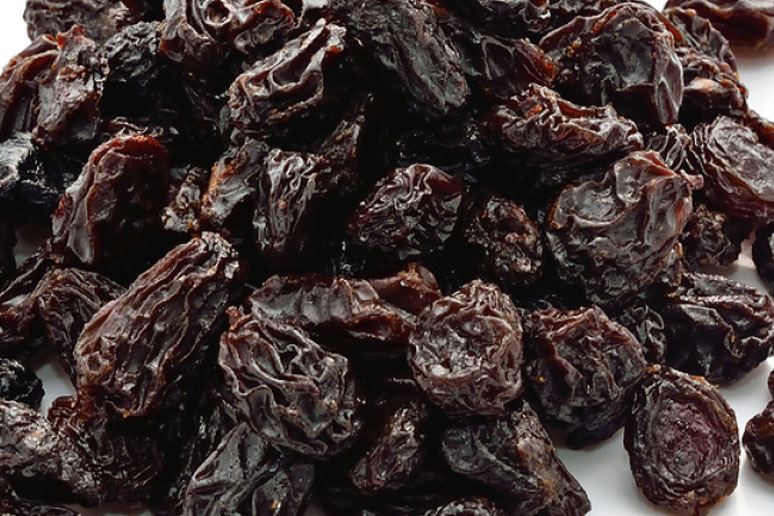 Yes, Malaga is also famous for it´s raisins! Visit the Atarazanas Market, and taste some of these succulent treats - used to make some of their sweet wines. The local almonds are fantastic. They are toasted and salted to perfection, and make the perfect snack as you stroll the city. 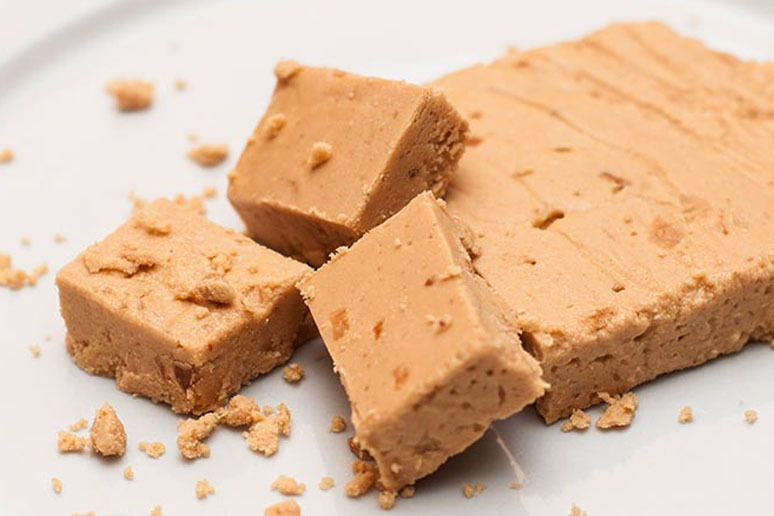 Turron is the perfect snack or dessert. 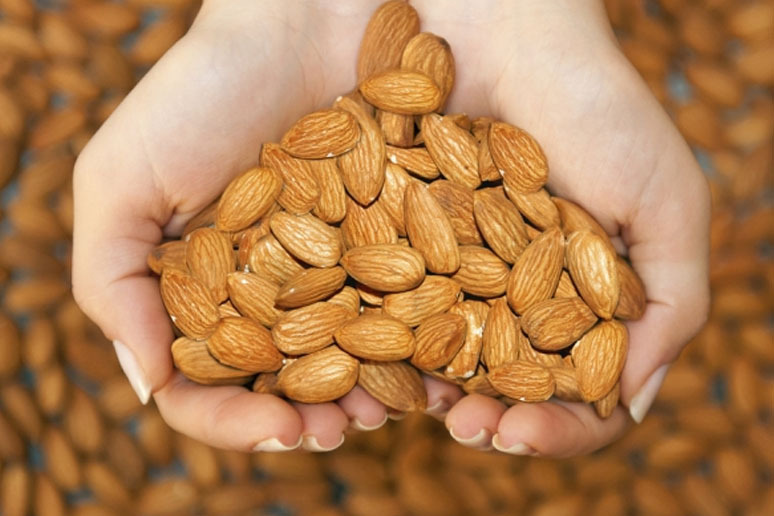 Made up of nuts – predominantly almonds. 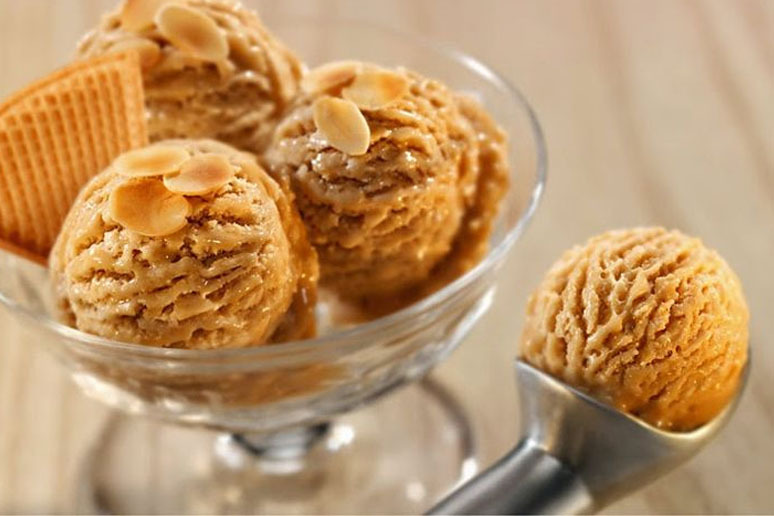 Malaga is particularly known for it´s Turrón ice cream, and can be bought at the famous Casa Mira. Other popular ice cream shops include Heladeria Freskitto, which often offers seasonal flavours as well as classics such as strawberry and vanilla. 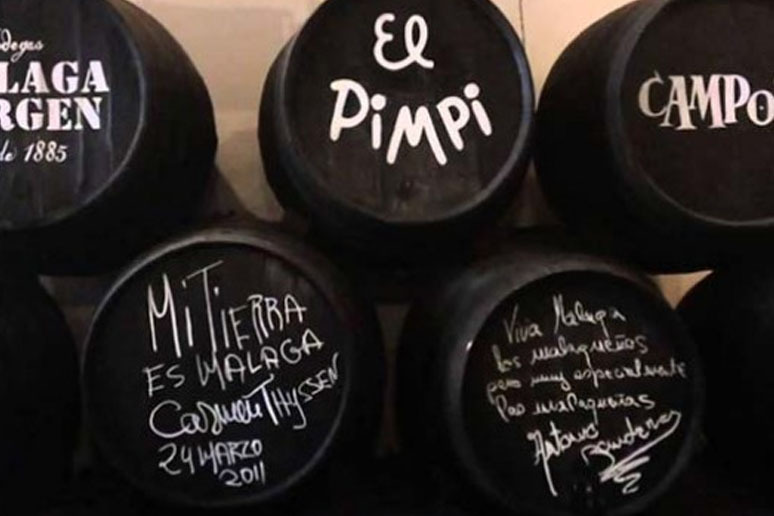 Malaga is world famous for it´s wines! Usually made from Moscatel or Pedro Ximenez grapes. They are worth trying, even if you don´t usually like sweet wines. Be careful though! As you will find it is very easy to get drunk, and the following hangover can be brutal!! Malaga has started dedicating itself to producing some of the best dry wines in the region. The Moscatel grape offers the surprise of smelling like honey, but tasting surprisingly crisp and dry! La Recova in Malaga is a superb place to eat a traditional breakfast. The house meal deal comes with a recuperating coffee, and a large piece of toasted bread, complete with eight toppings to choose from including: Lard Spreads, Homemade Marmalades, Olive Oil, and of course Fresh Tomato. 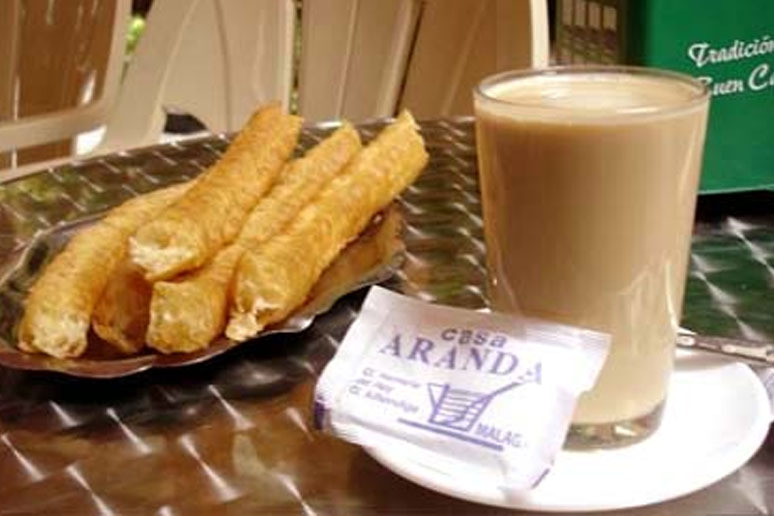 The Casa Aranda is famous for it´s delicious Churros! So popular are they, that you will often find a queue of people waiting in the long alleyway where they are served! 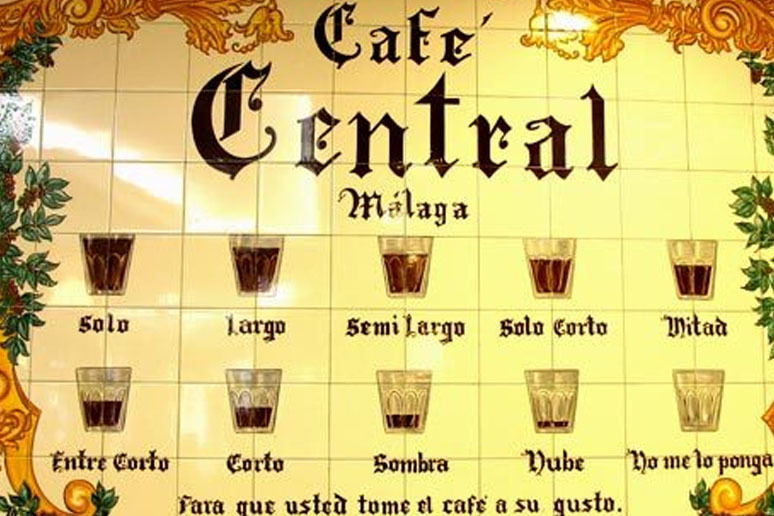 Café central serves many exotic coffees, and is one of the most iconic places in Malaga. At breakfast you can enjoy a pitufo or maybe some homemade terjeringos! 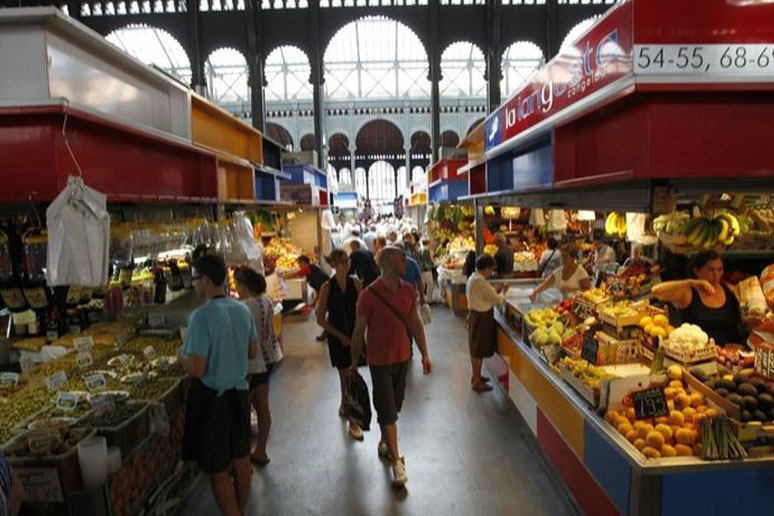 The Malaga market is spectacular, and as you would expect, full of fresh produce and fish – in fact it has one of the best fish markets in spain! There are also some fantastic tapas bars inside, serving up the freshest produce possible! More fantastic tapas with a twist, that is always In demand. Small but quaint – always try to make a reservation. Famous for their ajo blanco. Owned by a husband and wife team, who divide their time between Malaga and Madrid, this lovely bar offers a delightful slice of Madrid. Famous for tostas (toasted bread with selection of delicious toppings) Also has vermouth on tap!! Just good, honest food. 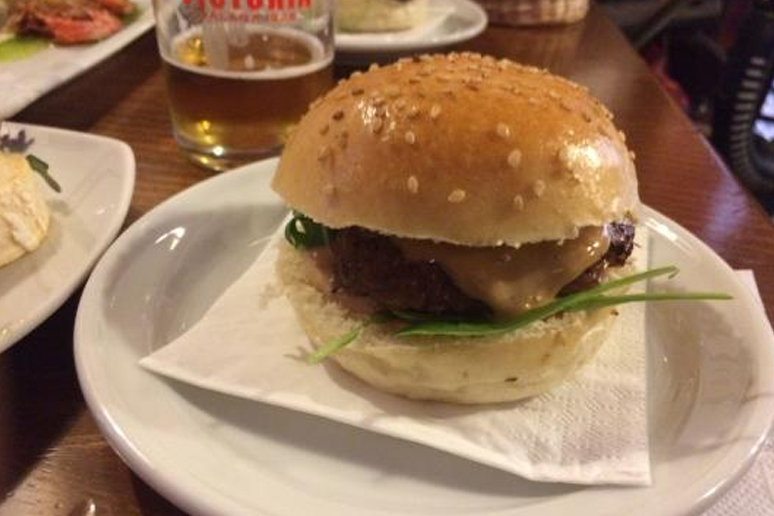 Famous for it´s ´Bull Burger´ which is made from bull meat, and topped with a smokey cheese. An original tapas, that will keep you coming back!! This is the place for the best jamón in Malaga. 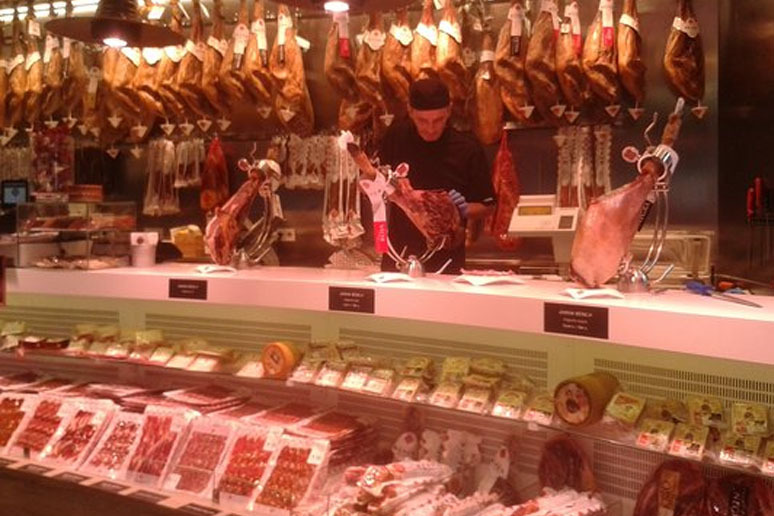 The family who own Beher have been producing top quality Iberian acorn-fed ham for decades. They are also expert slicers!! 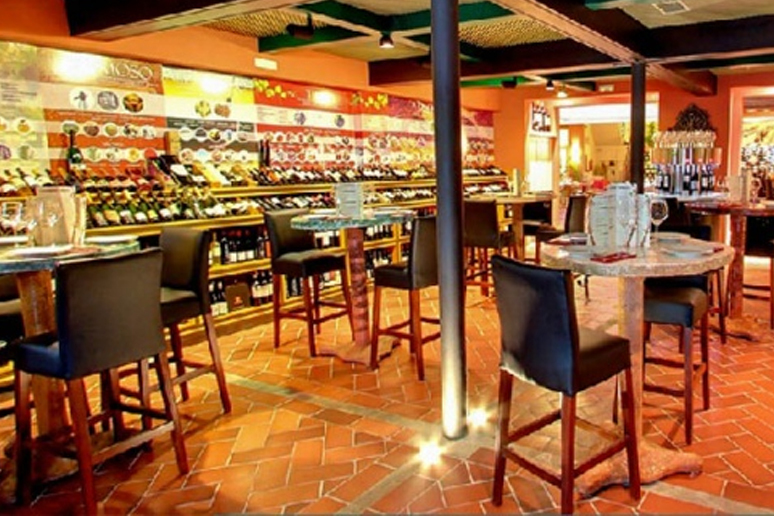 Beautiful tapas bar that offers original tapas, and some fantastic wine – all within a lovely, vibrant environment. Beautifully fried fish, sold in paper cones to eat on the go! Just fantastic, honest food made from the freshest produce. Famous for their prawns, since the 1960s, all you need to go with this fresh delicacy is salt and lemon, and of course a cold beer!! Pez Tomillo is located in an area called Pedregalejo. 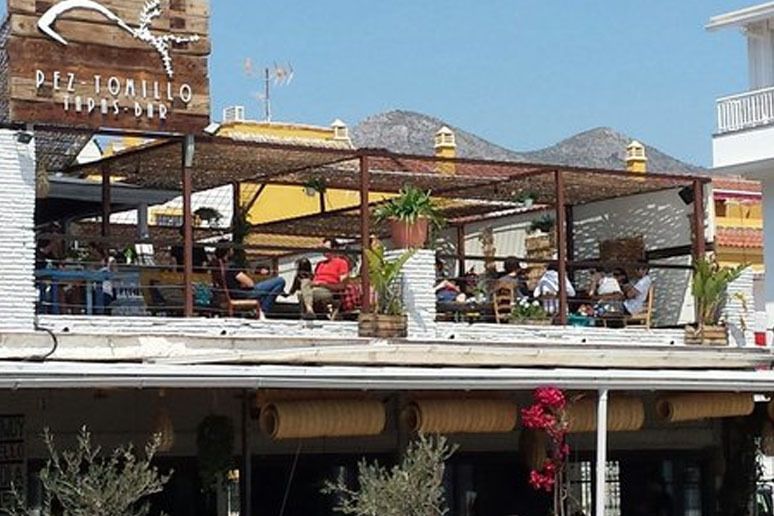 This beachside chiringuito serves fantastic beach snacks. You will find modern interpretations on Malaga classics at fantastic prices. Simplicity at it´s best. 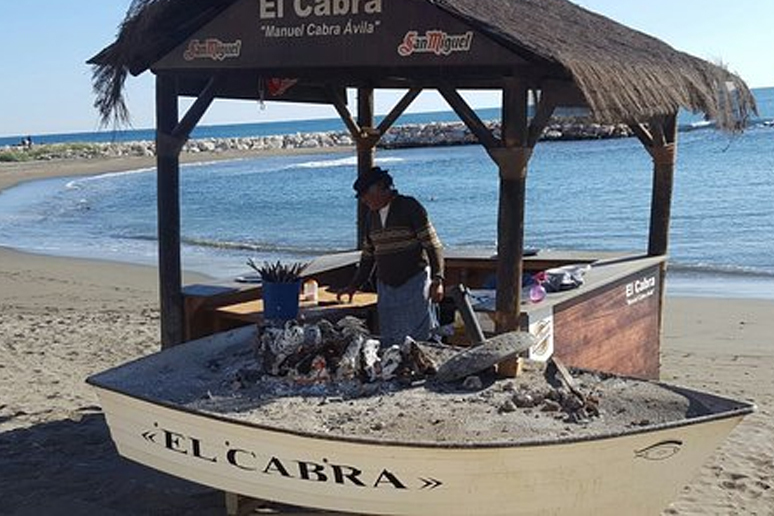 Famous for their grilled sardines and roasted red peppers, this lovely beachside establishment offers the freshest food cooked traditionally. 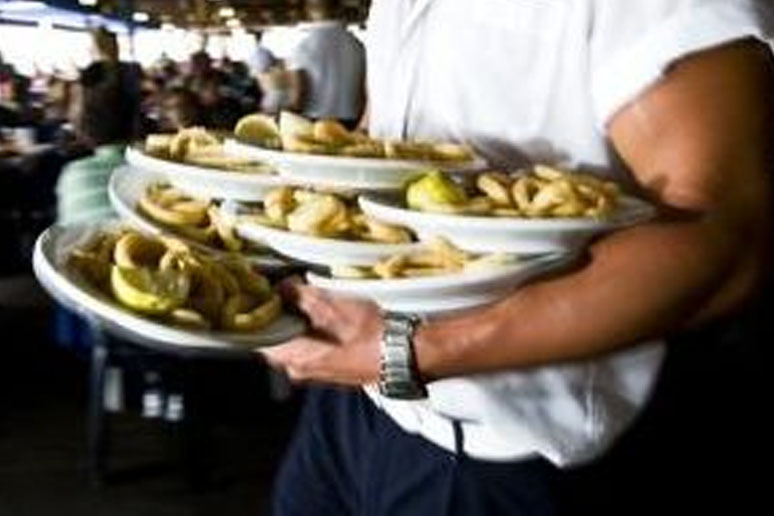 The food isn´t the greatest, but the waiters make this restaurant a spectacle, auctioning off plates fresh from the grill. Loud and vibrant, you simply pay for the plates that you have chosen. They are great value as well, as most large plates are around 6€. 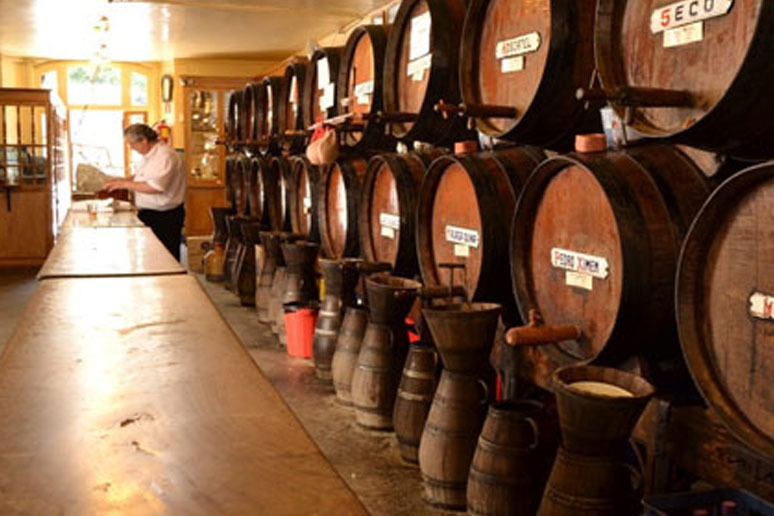 Famous for their old barrels filled with Malaga´s fortified wines, this is as traditional as it gets!! Pajarete is a sweet choice and seco traseñejo is dry, but with a big kick!! 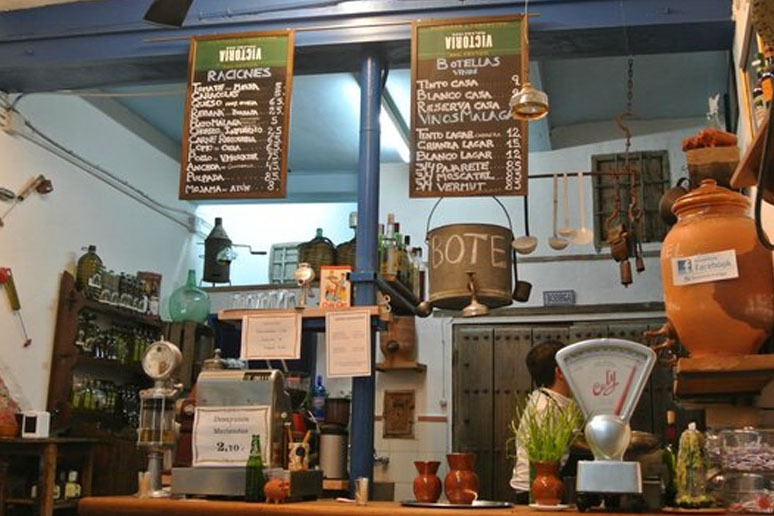 If you love wine, you must visit Los Patios de Beatas, where it´s possible to try some fantastic wines by the glass. They also have a great tasting menu. Some of the Malaga dry wines are fantastic value for money, and well worth trying. A bread and cutlery charge is the norm when in Malaga, and can range up to 2.50€ per person. However this charge often includes an appetizer. Traditional Spanish Tapas bars are often loud, vibrant places, so do not expect the same personal attention you would find in an upmarket restaurant. If you want something you might need to shout for it, including the bill!! You do not have to tip in Málaga, but if you have had excellent service, you will probably want to tip around 10% on top of the bill. 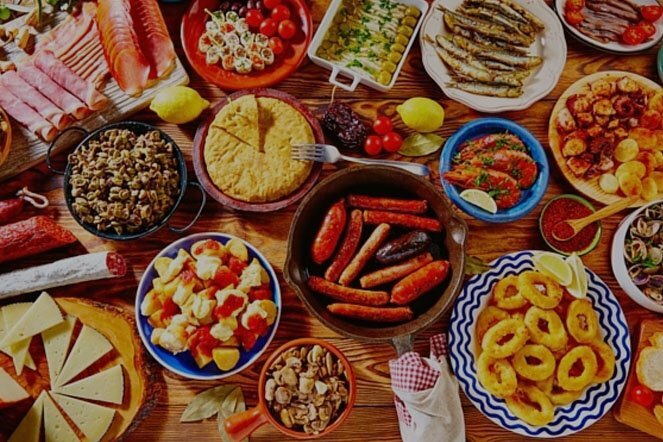 People in Spain, and especially Malaga don´t usually go out to eat until 9:30 pm – so if you want a great atmosphere in your chosen restaurant, don´t go out before this time. It´s probably because of the heat in Spain, that people wait until it´s cooled down before eating.